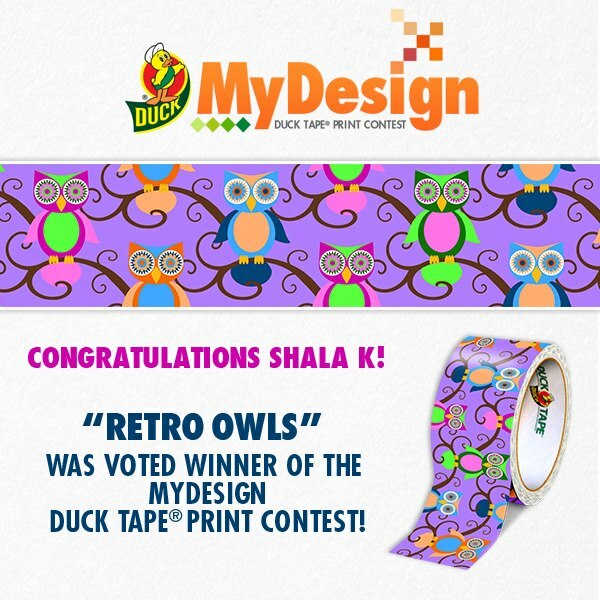 Don't Eat the Paste: Owls Duck Tape?? Yes! Owls Duck Tape! Coming out sometime in 2013! Thank you everyone who voted for me and encouraged me. YAY! Haven't stopped smiling. Normal postings will resume soon. Way to go! Looking forward to using this fantastic design. Congratulations! YEAH!! I voted for you, can't wait to see it in the stores! I just got a roll today! It's pretty!! Just found this at our store and now need to decide what to make with it or do I just sit and stare at it awhile...lol. Love the colors..